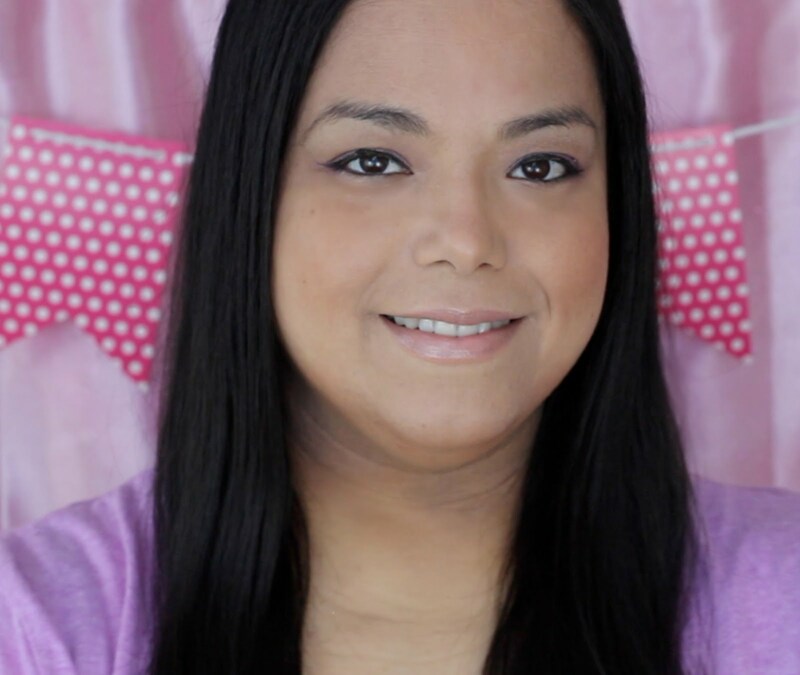 I participated in an Influencer Activation Program on behalf of Influence-Central for #AveenoEczemaTherapy. I received a sample to facilitate my review and a thank you item for participating. I have been dealing with Eczema for a while now and get bad flare ups on my neck. Things get worse when it's hot outside or when I sweat at the gym. I used to get some relief when the fall and cooler weather came along but now that I go to the gym my flare ups have been year-round. 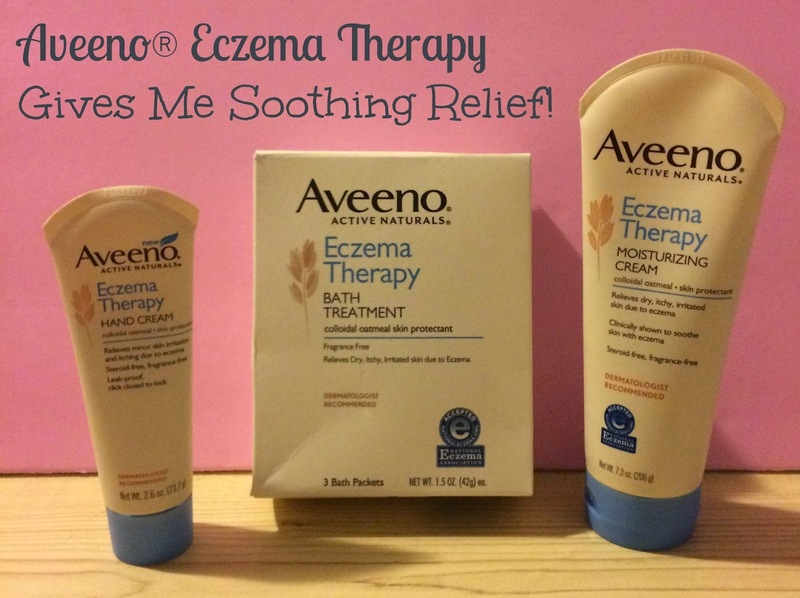 When I heard about the AVEENO® Eczema Therapy Collection I was excited to try it. The AVEENO® Eczema Therapy Collection was created with leading dermatologists and awarded the National Eczema Association Seal of Acceptance because it provides gentle, superior ingredients to soothe skin with eczema. The collection uses the best ingredients in nature to help with the four symptoms of eczema: itch, roughness, dryness and irritation. 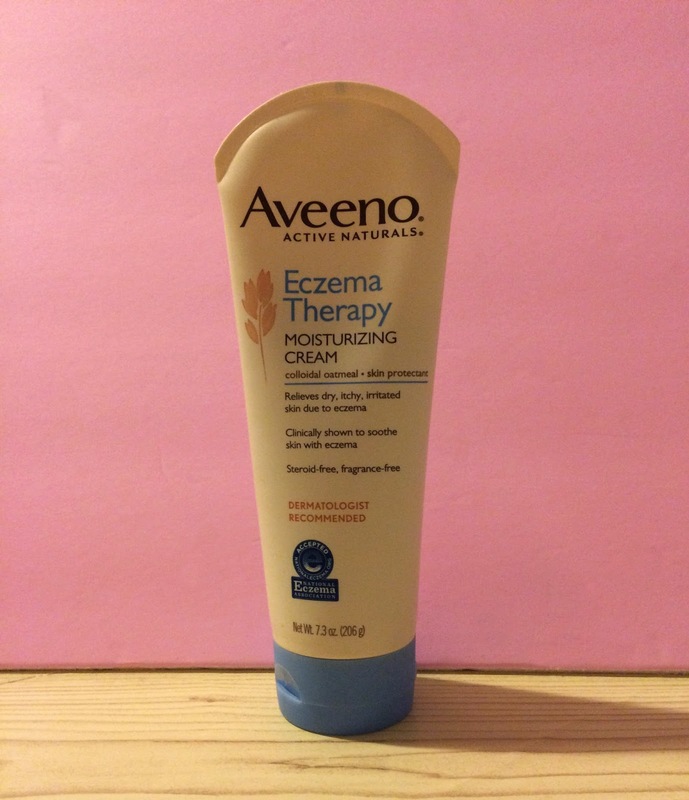 The first product I used was the AVEENO® Eczema Therapy Moisturizing Cream. I loved how thick it was and the great coverage on my neck that lasted a long time. I put it on in the afternoon and it lasted my entire workout until I went home and showered. I also loved how it soothed my skin and didn't get irritated. I had experiences with other creams where it would itch and sting right when I put the cream on. 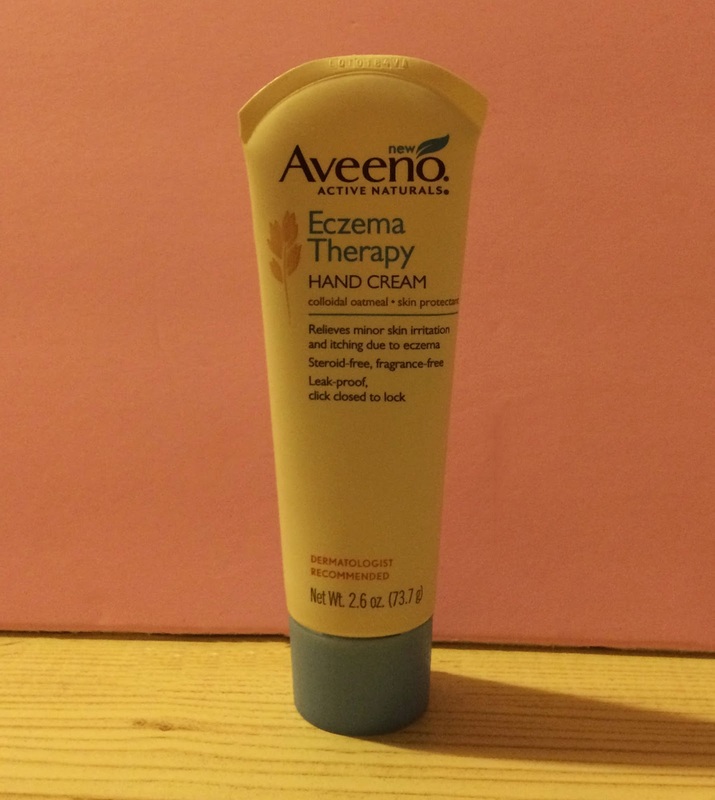 Next I used the AVEENO® Eczema Therapy Hand Cream which was perfect for my super dry hands. With a toddler around I am constantly washing and sanitizing my hands. This makes my hands really dry and sometimes scaly. I loved how smooth and soft it made my hands feel. I can't wait to try it during the winter time when my hands are at their worst. 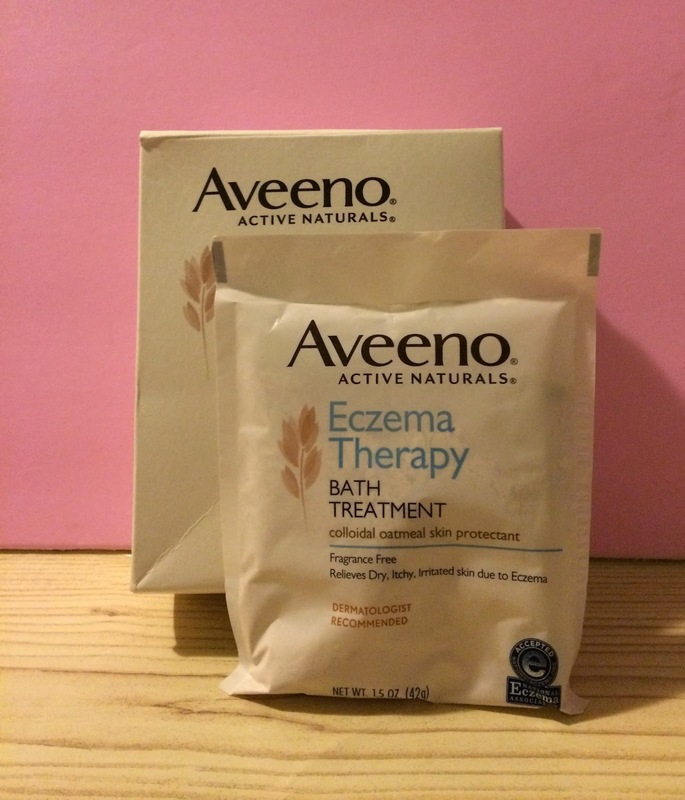 Lastly I used the AVEENO® Eczema Therapy Bath Treatment a couple of times a week. It was easy to sprinkle into my bathwater and dissolved easily. I soaked in it for about 20 minutes and loved how soothed and soft my skin felt. I have been using these three products for about 3 weeks now and they really do work. It has helped my skin, especially in my neck immensely. I will continue to use these products and highly recommend them to anyone who suffers from Eczema or has really dry skin. infants, children and adults suffer from eczema? You can learn more at the AVEENO® Eczema Therapy Website: http://www.aveeno.com/category/our+products/collections/eczema+therapy.do. Be sure to follow Aveeno on Facebook for all of the latest news on their products and tips on skincare. I love Aveeno products! I'll have to tell a friend of mine who has eczema about this. Aveeno makes such good products. My son has eczema so I'll have to try this on his back. 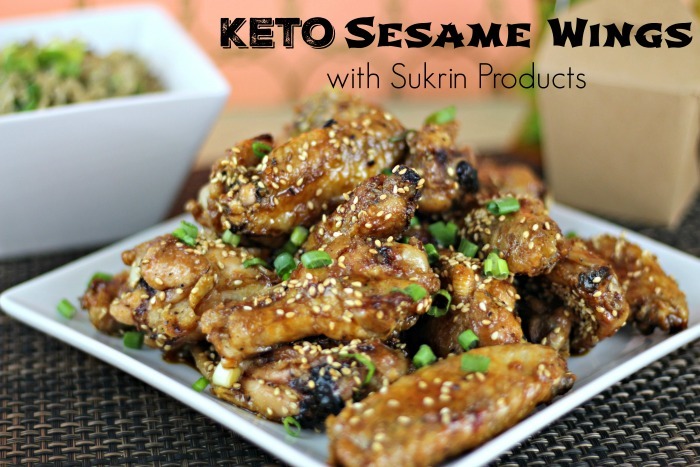 No one in our home has eczema, definitely sounds like a great solution to an annoying problem. I don't have eczema, but I know Aveeno has been wonderful over the years for irritated skin. I'm glad they have a line for this now. I have been using Aveeno for years. Not for eczema, but for my super dry skin. We've been using Aveeno on our kiddos for years! They both have eczema and this helps. I love Aveeno products. I had no idea they had specific eczema products. My husband has a problem with eczema and this is helpful to know. I love this line! We use it a lot in our house! I would love to try this for my son who has eczema.